Most of my clients find me on the internet. Many of them have the same concerns, for example, "we are travelling alone, with no witnesses", " we will only port in George Town for 5 hours, do we have enough time to get married? ", "how will we find you?" I thought I would use this lovely young couple from Broken Arrow, Oklahoma to illustrate just how much fun, how affordable, and how easy, a Cayman cruise wedding can be. When I meet you near the cruise landing in George Town, Grand Cayman on the day of your wedding, a lot of planning and organisation has already happened. My office will already have recieved scanned copies of your passports, divorce decrees etc. 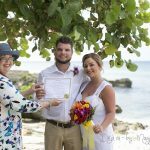 and we will have applied in advance for the Special Marriage License which you need to be married in the Cayman Islands, as a visitor. We will have been in touch with you to recieve the deposit on your wedding ($250) and in most cases we will have sent you the script and a selection of readings so we could personalise your wedding ceremony. To begin the process, you will have sent us an application form, which you can find on the drop-down menu of my Homepage on this website. 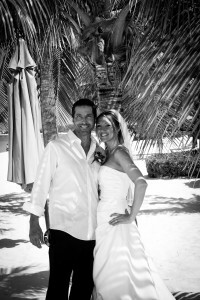 Most people chose my "All-inclusive Cayman Cruise Wedding Package", because it is affordable, and good-value for money. You will be picked up, taken to our office to dress and complete the documentation (and payment) and then taken to the site you have selected for your wedding. The most popular sites are "My Secret Cove", "Smith's Cove" and Governor's Beach. Governor's Beach is part of Seven Mile Beach, it is a public beach and is free to use. Some beach bars and hotels charge more than $500 to use their beach. I use the free beaches, which save you money. The key is to be well organised, and get to the beach early, by 10am. If the beach is crowded, then we can choose to move on to a less crowded part of the beach. This is one reason why I try to do only one daily cruise ceremony myself. 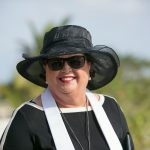 It is important to me that you have a fantastic wedding experience in the Cayman Is. and I want to enjoy your special day with you. 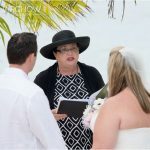 My "all-inclusive Cayman Cruise Wedding package", includes all documentation before and after the ceremony, all legal requirements including witnesses and of course the Special Marriage License, your personalised wedding ceremony, wedding florals, photography and champagne. We mail you the Registered Marriage Certificate, your legal marriage certificate once the marriage has been filed with the government authorities. 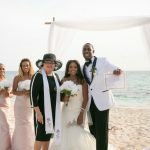 Seven Mile Beach, Grand Cayman is consistently voted one of the most beautiful beaches in the world, and a Top 10 location for a Caribbean Beach Wedding. I hope I have shown you how much fun my weddings can be, and for questions just email me or comment below for a no obligation quote or answer to your questions.